Bahrain Confidential experiences the royal art of Indian cuisine at Mewar. At Mewar, you’ll find classic trendy infused flavoured Indian dishes prepared with fine-dining mastery, a remarkable atmosphere and even greater service standards. 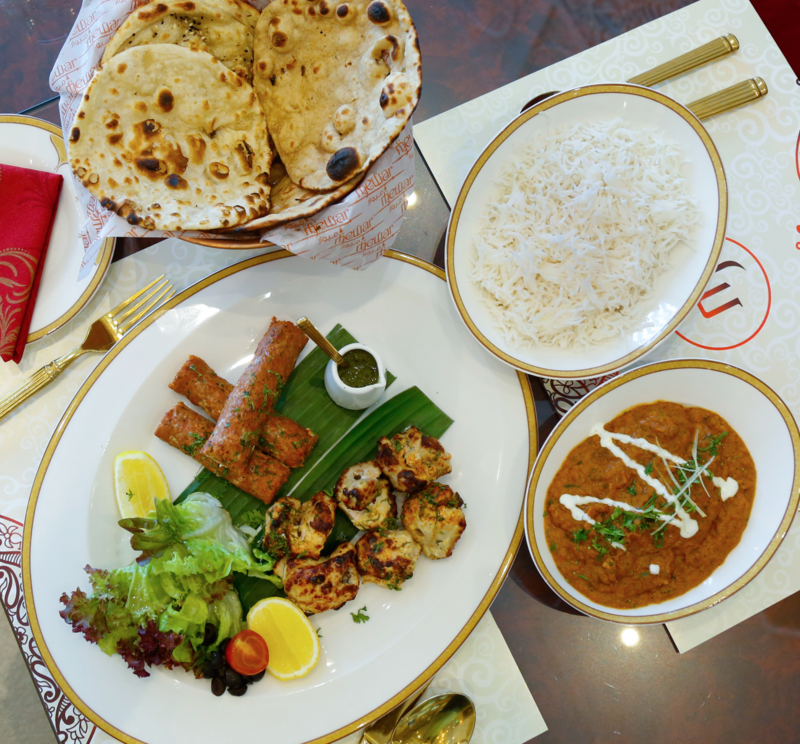 Mewar is the latest Indian Gourmanderie in town offering a regal tradition with modernity fit for its neo royal guests. Arriving at the classy restaurant, ceilings and walls adorned with elegant fixtures and opulent curtains welcomed us. While taking a quick tour, our eyes were delighted by the rich hues of red and teal complementing the seats. The place is uplifting with a friendly ambiance, making you feel relaxed and comfortable. We sipped our delicious welcome drinks and admired the surroundings. The menu is tempting and uniquely created, with a price tag that is remarkably reasonable. The restaurant boasts an eclectic menu but the real highlight was their set menu. 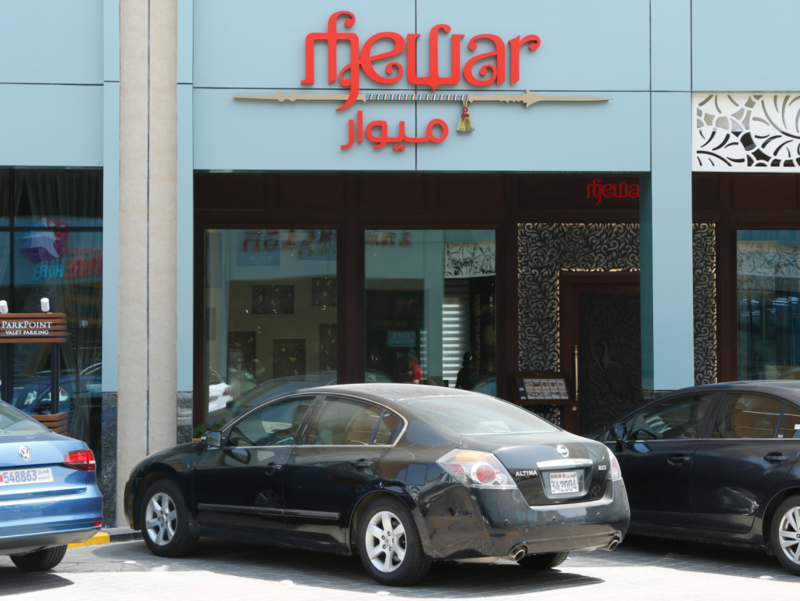 A set menu costs BD20 which includes soup, starters, main course, dessert and drinks. We started our culinary journey with the warm ‘Dal Dhaniye ka Shorba’ or Curried Lentil Soup. The yummy concoction warmed our starving bellies while we waited for the rest of the course. For starters, we thoroughly enjoyed the ‘Kurkura Palak Chaat’. Crispy, crunchy and tangy – the chaat was downright addicting! One must definitely try the ‘Achari Paneer Tikka’ – this skewered starter is full of colour, fragrance and flavour. The all time favourite ‘Samosa Platter’ is also worth mentioning. Moving on to the best part, the main course. Unlike the usually dry and tough fare in other restaurants, Mewar’s ‘Grill Platter’ consists of mixed meats that are really tender and juicy. Assorted Naan breads are also available to complement the tasty dishes. Being a staple dish at any Indian restaurant, we weren’t expecting anything special with the ‘Chicken Tikka Masala’. We were surprised with how succulent the chicken was! Its flavour was even elevated by the creamy and spice-infused tomato sauce paired with steamed rice. 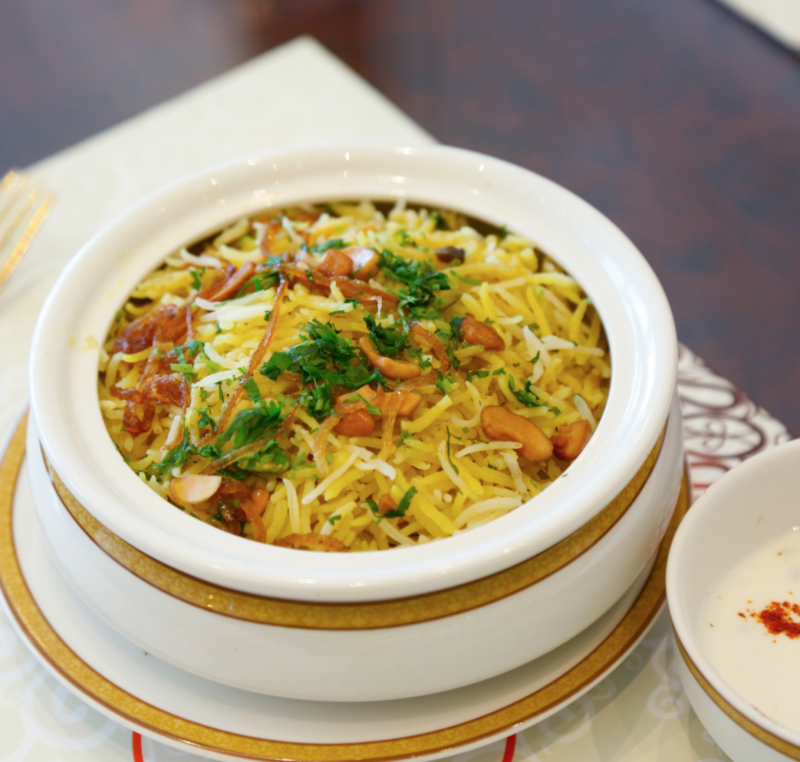 When it comes down to their menu, you must not miss Mewar’s ‘Chicken Biryani and Raita’ for it will surely hit your taste buds with a surprise! 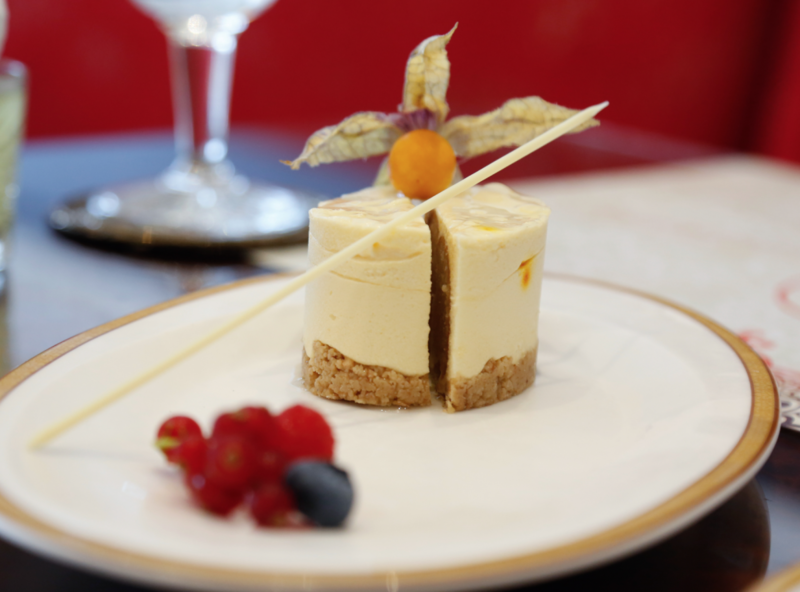 To finish, we had the ‘Gulab Jamoon Saffron Cheesecake’ that we enjoyed more than we’d expected to. If you find the dishes too savoury for your liking, enjoy a cup of their lassi to balance out the flavours. Open for lunch and dinner, Mewar offers tradition in a trendy place with inspired food presentations without sacrificing the originality. Definitely noteworthy!